More than 75 % of U.S. adults over 35 have some form of gum disease (or periodontal disease). Most who have the beginning stage of this disease don’t even know it. The most severe version of gum disease is known as periodontitis. A less severe version is known as gingivitis. In many cases gingivitis is a precursor to periodontitis so all forms of gum disease should be seen as serious and not neglected. This disease is serious enough to be called the “silent epidemic" by former Surgeon General, David Satcher. It is also known as the “busy person’s disease” because people with very busy schedules often neglect their oral hygiene. It can be scary to hear that you have gum disease. Many people become embarrassed when they are told they have gum disease because they feel they have not paid enough attention to their oral hygiene; however, studies show that many adults lose ground even when they brush and floss regularly. A well-known phrase for growing older is growing “long in the tooth.” This phrase obviously indicates that it becomes increasingly more difficult to keep good oral hygiene for an entire lifetime. When the symptoms become severe, with gums bleeding and teeth becoming loose, we tend to start paying attention. Unfortunately this level of belated intervention is now at the crisis level and can cause serious bone, tissue, and tooth loss. If the gum recession is not severe and can be halted and grown back by simple alteration of the mouth’s environment, then non-surgical options are proposed. This is generally the case for bacterial infections of the gum, particularly those in an early stage. In these cases, a professional deep cleaning of the periodontal pockets is recommended. This involves removal of plaque and tartar above and below the gum line in order to reduce the sources of bacterial infection. Soft Tissue Graft - this involves taking gum tissue from other parts of the mouth (e.g. the palate or healthier parts of the gum), placing it over the exposed places and suturing them in place. This procedure is quite easy on the patient. It requires only mild painkilling treatment and lasts for a lifetime with proper care. Bone Grafts - exposure of the root can lead to atrophy of the jawbone as a result of bacterial infection. 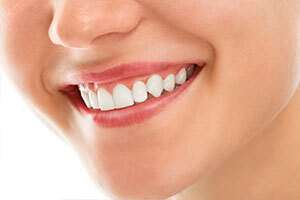 Bone grafts can grow back the bone, making it easier to hold teeth and gum. Bone tissue can be taken from the jaw, hip, or tibia and placed in the jawbone. Special membranes are inserted to protect it and assist in bone regeneration.